In an effort to diversify the bookshelves of literature connoisseurs, Derick Brewer and Zellie Imani have launched Noir Reads. The subscription service delivers two to three fiction and nonfiction book selections from writers throughout the diaspora monthly. The service already has 100 subscribers and has sold nearly half of the 200 boxes they’ve prepared for their launch. “Our aim was to create a resource comprised of narratives on the Black experience and the multiplicity of Blackness,” Imani told The Huffington Post. 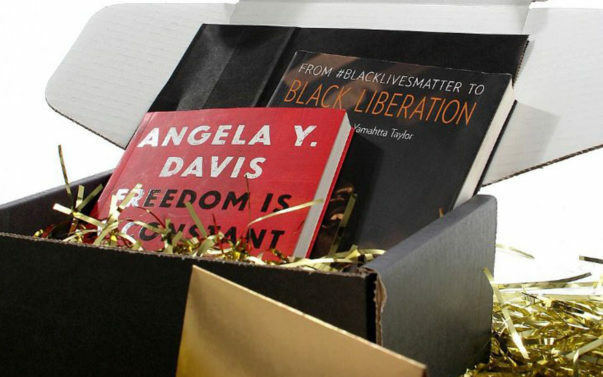 On Feb. 6, first-time subscribers found Angela Davis’ Freedom Is A Constant Struggle and Keeanga-Yamahtta Taylor’s From #BlackLivesMatter to Black Liberation in Noir Reads’ inaugural box. Imani said these particular works were selected in part for their relevance given today’s current political climate. Imani, who is an educator and Black Lives Matter activist, said Noir Reads is an extension of his work and is meant to draw attention to the ranges of the Black experience. For more on Noir Reads and to subscribe, visit www.noir-reads.com.